I hear there was some snow over there in the rest of the country these past few weeks. Hard to know, given where I live. Sorry, had to get that brag in there. With most of the country dealing with massive snowstorms this winter, the sight of pitchers and catchers reporting today is a welcome harbinger of warmer days to come, and the daily routine of games that many baseball fans live for. 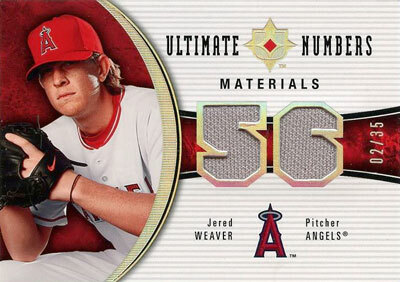 For those of you still thawing out and stacking layers of clothes on before leaving the house, here’s a rundown of some of the most interesting stories on the horizon for the American League in 2010 to warm you up. Around this time last year, expectations were certainly high for the Yankees (as is always the case). They had just committed $423,500,000 to three players (Sabathia, Teixeira and Burnett), but we had seen this song and dance from the Yanks many times before in the decade. Spending lots of money on veteran players was nothing new for them, and similar past investments (Giambi, Pavano, Johnson, Brown, etc.) didn’t get them a World Series championship. So while expectations were higher given the quality of talent they obtained in their latest shopping spree, fans weren’t about to make assumptions. This year, make no mistake about it: the Yankees are the best team in baseball by a wide margin. When I look at how the team is constructed, I simply don’t see any weaknesses. Every hitter in the lineup is a major threat, with the exception of Brett Gardner. Their rotation is stacked #1-4, to the point that Joba and Hughes may both end up in the bullpen to form a longer, solid bridge to Mariano. Even defense, which was often an overlooked part of the team’s construction, is much improved from the years of Giambi stumbling around the bag, or Bernie Williams on his last legs in center field. Oh, and they’re improved from last year too. 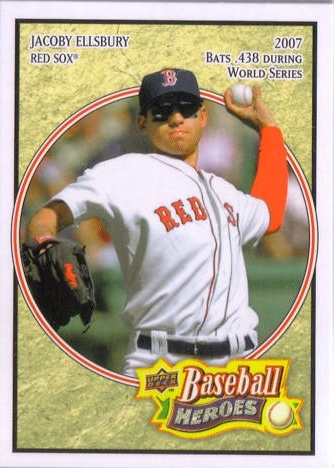 Johnny Damon has been replaced by Curtis Granderson, who provides better defensive value and makes the team younger. Javier Vazquez joins the team as a #4 starter, after having a quiet Cy Young quality season in Atlanta. The team’s one Achilles heel is the age of their core guys: Jeter, Posada, Pettitte and Mariano. But with the market for players shrinking drastically the last two years, and the huge amount of resources available to the Yankees, I’m sure they’ll be able to replace anyone who goes down as the season progresses. They would be fine without one or two of their stars, but if the injury bug hits multiple players, then things won’t go quite as smoothly this year. In years past, spring training brought with it an emotion of “Anyone can win the World Series this year”. And while that’s still true to some extent, this current incarnation of the Yankees has buried much of the parity we saw in the sport during the past decade. What does this mean for the other 29 teams? The bar has been set, and it’s going to take that much more effort from players and management to meet the challenge. The biggest arms race in baseball continued this winter, as the Red Sox had to make some changes to keep up with the Yankees. I’m sure Theo Epstein would have loved to trade for Adrian Gonzalez and slot him in at first base, but the Padres aren’t looking to trade their superstar just yet. So, rather than trying to outslug the Bronx Bombers, the Sox made some subtle, but substantial moves to improve in the run prevention department. If you’re a more traditional kind of baseball fan, you look at Jacoby Ellsbury and see your prototypical center fielder: lots of speed in the field and on the base paths. To the naked eye he looks and plays solid defense, but statistical analysis shows he was actually the worst defensive center fielder in the league last year. Fans may disagree with this, but management doesn’t. They made a smart move by bringing in veteran CF Mike Cameron, who is still a top rated fielder despite getting up there in age. Ellsbury clearly has the talent and ability to play good defense, but lacks the experience and instincts. A season or two in left field should help him get adjusted, and Cameron is just the kind of player who can help Ellsbury improve (the guy has only had two full seasons in the big leagues, after all). As a side note, the Cameron move is actually very reminiscent of when the Brewers acquired him in 2008: it allowed the team to reconfigure what had been a very poor defensive alignment. It created a domino effect that allowed the Bill Hall experiment in center field to end, shifting him back to a more comfortable third base position. This in turn allowed the team to move Ryan Braun, who had been an absolute butcher at third base, and hide his glove better in left field. The Red Sox may have been taking notes, as the 2010 Cameron acquisition improves their defense drastically in two positions. The Sox have been blessed with a great homegrown defensive right side of the infield featuring Pedroia and Youkilis, and they now have a left side to match by signing Scutaro and Beltre. The Lackey acquisition came as a bit of a surprise, but once again gives the Red Sox the potential to have the best rotation in the league, assuming Beckett and Matsuzaka stay healthy while Buchholz continues to improve. Make no mistake about it: in 2010, the Red Sox are in the run prevention business. Fans aren’t giving their lineup quite enough credit though, as it really has solid players 1-9. They may not have quite the pop fans would like to see, but I absolutely expect them to make a trade for a bat or two come the trade deadline. Too much is being made of the weight of Papi’s performance and what it means for the team’s success. Yes, it would be great for him to return to even 30 home run form, but in this current market, it won’t be too hard to obtain a power DH bat. Guys who fit the bill like Jermaine Dye and Carlos Delgado don’t even have a job at the moment. After too many years of mismanagement in the Pacific Northwest, General Manage Jack Zduriencik has turned around the Mariners, and provided them with an identity. He’s proven to be ahead of the curve with analysis, collecting defensively strong players who were undervalued by the market. Franklin Gutierrez is probably the best example of this philosophy: Zduriencik picked him up in a three way trade when he was a center fielder without much of a bat, but solid defensive value. After two years in Seattle, we now know how important those defensive skills are: click here to check out his stats on FanGraphs. His bat only provided 6.3 runs over an average player through the course of the 2009 season, but his fielding saved a staggering 29 runs over an average player (this is more than ten runs better than the second best defender in the whole league, Evan Longoria). The end result? A player worth nearly six wins more than an average outfielder, a value that would be worth $26,400,000 on the open market. Not bad for a guy who cost Seattle a little less than $500,000. Take the Gutierrez strategy, expand it over the diamond, and you have the modern Seattle Mariners brand of baseball. Chone Figgins and Jack Wilson combine to create a vacuum for ground balls on the left side of the infield. The aforementioned Gutierrez combines with Ichiro to do much of the same for balls in the air. Even new first baseman Casey Kotchman is a glove first kind of player, rather than your prototypical slugger. Oh, and of course they picked up Cliff Lee this winter, who combines with King Felix Hernandez, fresh off a new extension that will keep him in Seattle through 2014. Assuming both produce to form, Seattle should have the best 1-2 punch in the majors this year. As someone who always purchases the Extra Innings package, I’ll be watching plenty of Mariners games this season for entertainment alone. This 2010 team may very well go down as the best defensive club in the history of the game, they have two bona fide aces, and two speedy on-base machines in Ichiro and Figgins at the top of their order. It’ll be a thrill to watch. The only thing missing is some power in the lineup, but if Milton Bradley can bring back the form that made him a deadly hitter in 2008, it’ll go a long way towards a playoff berth for Seattle. On subject, the Angels have really seemed to own the AL West in recent memory, but I expect to see a significant race this time around. Despite losing Lackey, the pitching depth is still very strong between Kazmir, Weaver, Saunders, Santana and new acquisition Joel Pinero. There are no true aces in this bunch, but all are very capable pitchers who will give the team a chance to win. The Angels offense has really shifted in tone from its famous aggressive-on-the-bases style that defined the franchise in the past decade. 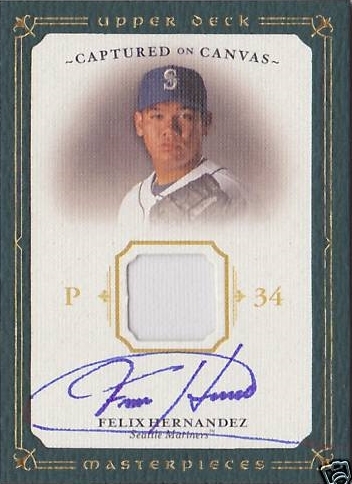 Now, the heart of the order features guys with power and on-base ability in Matsui, Hunter, Morales and Rivera. The bullpen is also not what it used to be, as Brian Fuentes wasn’t the most reliable closer in his first American League season, and new acquisition Fernando Rodney’s WHIP is just as poor. For the reasons mentioned above, Seattle really has a chance to take the division this year. Texas and Oakland also have strong farm systems stocked with pitching; while it’s unlikely that either team will contend for a playoff spot this year (unless the Rangers’ young guys develop faster than expected), they won’t be easy opponents for the Angels and Mariners. General Managers are often compared to poker players these days: they remain patient, wait for the right opportunities, maximize value whenever possible, and take into account all available statistics when making a move. By the same analogy, White Sox GM Kenny Williams is far less of a poker player, and more of a high stakes gambler at the craps table: placing big bets and throwing the dice in hopes of a big payoff. He traded top prospects and invested $52 million into three years of Jake Peavy’s services. The former Cy Young winner missed most of 2009 with an injury, but looked quite good in his 20 innings wearing a White Sox uniform. Still, he’s never proven himself in the American League, and he’ll need to be the Peavy of old to give the Sox a chance to contend. An even bigger gamble was acquiring Alex Rios from the Blue Jays for, well . . . nothing. Rios’ contract was an albatross for the rebuilding Jays, and the best they could do was literally give him away to be free of the burden. Rios is a tremendous athlete and still relatively young, but he’s yet to fully realize his potential. The Sox are now stuck with his hefty contract through 2014, and fans are hoping he doesn’t become their albatross moving forward. Some of Williams’ other gambles are a bit more calculated, such as getting J.J. Putz for $3m, and Andruw Jones for $500,000. 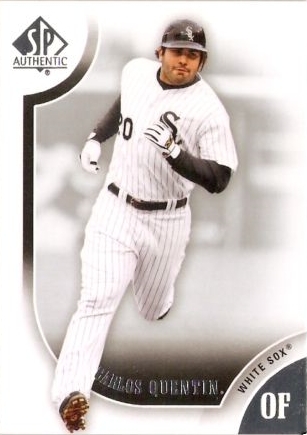 Among other gambles, the Sox are really hoping Carlos Quentin can return to his 2008 form, when he made a strong case for AL MVP before injuring himself by slamming a bat in frustration after hitting a foul ball. The rotation and lineup are actually filled with a combination of steady veterans and young talent, so if Peavy, Rios and Quentin can play up to expectations, the division should go to the Sox. The Twins’ philosophy is polar opposite of everything I just wrote about the White Sox. They are steady, build from within, and practically never take major risks bringing in external players. This time around, with a shrinking market for free agents, they made two incredibly smart signings by bringing in Orlando Hudson and Jim Thome on affordable one year contracts. Hudson should round out the infeld nicely with new shortstop J.J. Hardy, and Thome gives the team that one extra power bat they’ve always seemed to need. 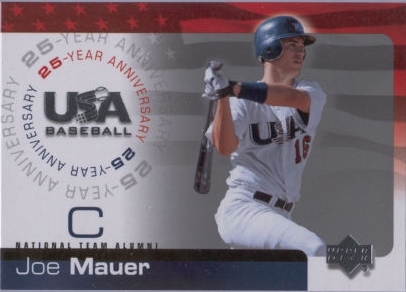 They’re opening a new stadium this year and feature reigning homegrown AL MVP Joe Mauer, who has become one of the biggest stars of this era. With their improvements, they have to be considered the favorite in the Central. The Tigers have a solid core built around frontline starters Justin Verlander, Rick Porcello and Max Scherzer. They look like a team that can contend, but realistically, I don’t think this is their year. The team is still bogged down by expensive contracts currently held by guys who are likely past their prime in Magglio Ordonez, Dontrelle Willis, Carlos Guillen and Nate Robertson. They are actually in a great position to contend in 2011 once those contracts start to come off the books and they can bring in premium talent to support the core in a strong free agent class. This is not to say they can’t contend this season if things fall into place, but this looks to be a team in transition, and I applaud them for getting one step ahead to make their team stronger for the future. Next up: the National League.